Pittsburgh, Pennsylvania has become such a fabulous city to live in. Far from the days of industrial smoke and smog the city now glows. There are new businesses, stores and restaurants emerging constantly. The local food movement is moving hard. Nightlife is waking up. Parks and museums can be found in all parts of the city. The sports teams are thriving. There is a wide range of merchandise being sold in stores. Bike commuters are becoming increasingly more common. It has no less than 7 colleges and universities. What’s not to love? In 2010 Pittsburgh was named the most livable city in the U.S. by Yahoo! and Forbes. In 2009 and 2011 it won the same title from The Economist. Just a few days ago it was one of only 2 U.S. cities to make National Geographic‘s Best of the World 2012. Mighty impressive if you ask me! Due to all of this growth in Pittsburgh I have an increasingly long list of places I want to go that I have never been to before. 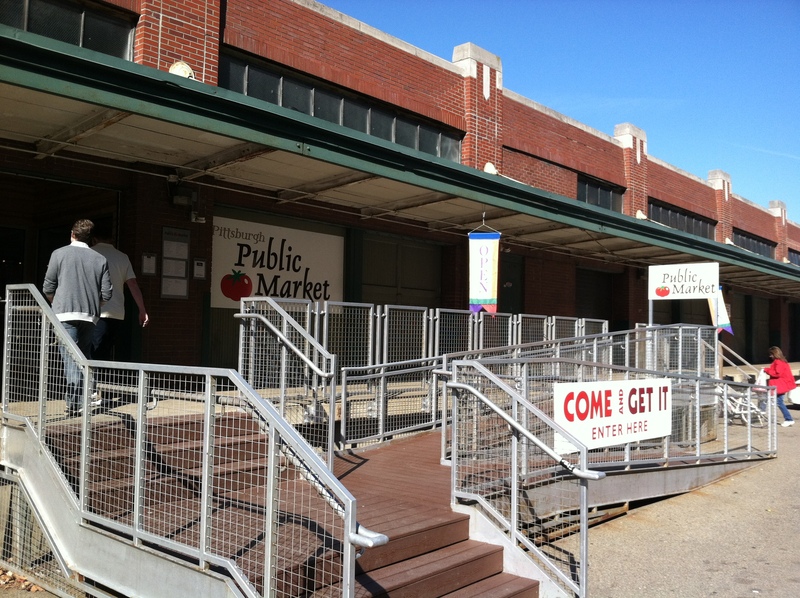 This weekend I crossed the Pittsburgh Public Market off my list. Located in part of an old warehouse on Smallman Street in the Strip District, it was just opened a little over a year ago. Inside are many individualized booths set up by local businesses. Some businesses that own a spot here also have stores elsewhere, but for others this is their only store-like location. Although it is a small space there is a large variety of items being sold. 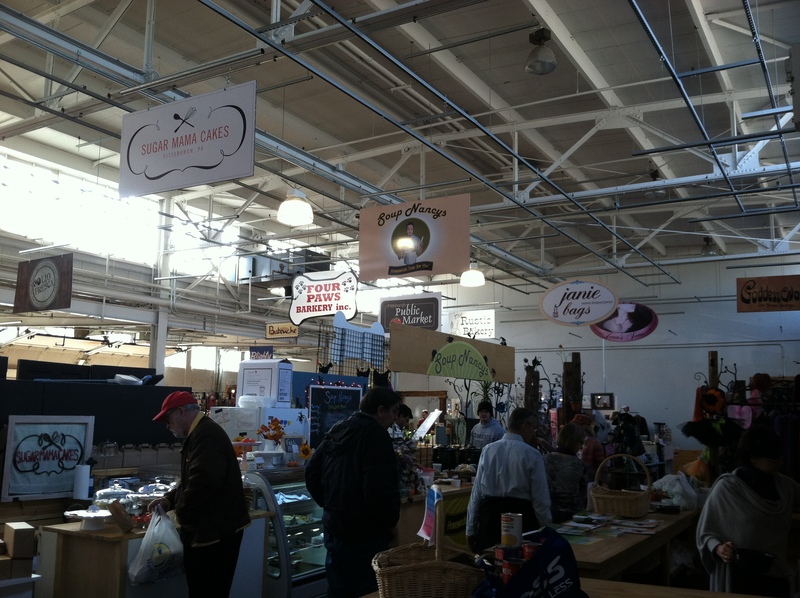 Cookies, pastries, books, jams, beer, olive oil, soap, dog treats, clothes, artwork, produce from a local farm, and hot foods. 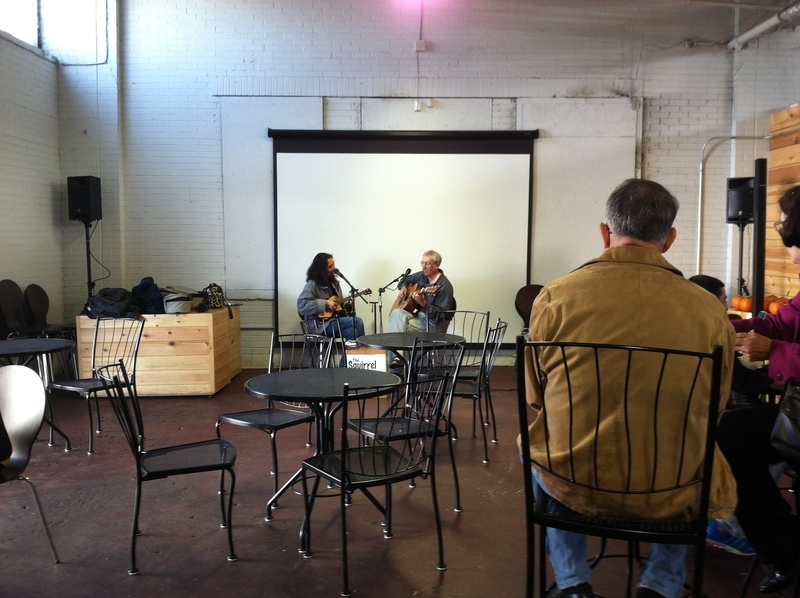 All of the vendors were incredibly friendly and throughout our visit we enjoyed live music by the local duo The Squirrel Hillbillies. I rather enjoyed their covers of popular favorites like The Beatles and Elton John as well as their original songs. It didn’t take long to cover the entire space but that doesn’t mean it wasn’t worth it or well enjoyed. We didn’t head to the market intending to purchase anything but we managed to walk away with a few purchases. It was just too tempting. 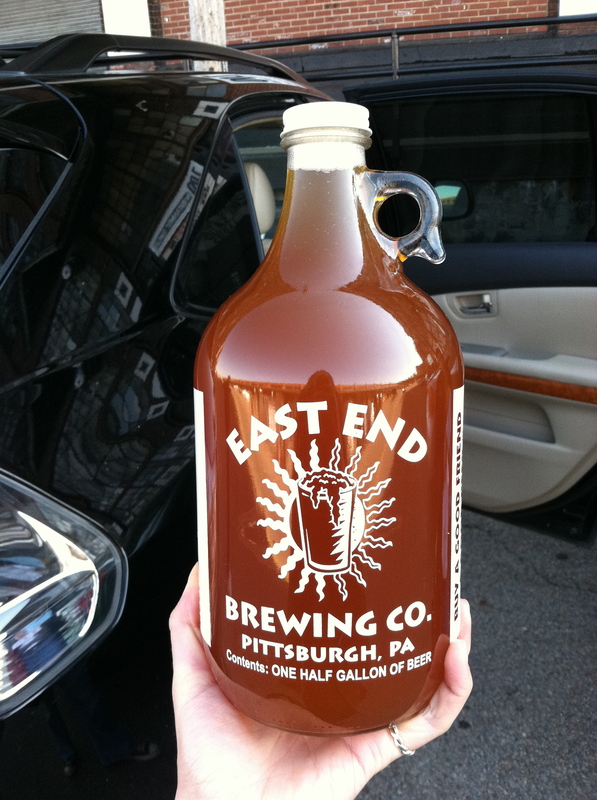 One purchase worth mentioning was our growler of beer from the East End Brewing Co. Filled from the tap right in front of us. How fabulous. But what will happen when it is empty?